Taylor Winkler, 24, is a public warning specialist at the New York City Emergency Management Department. Q: What do you do at Emergency Management? A: My department sends emergency alerts to New York residents about storms, traffic tie-ups and the like. I send them through Twitter, text, email, mobile app or another channel to New York residents who have signed up for Notify NYC. On rare occasions, we send Wireless Emergency Alerts, for more severe threats, to people in New York City who have cellphones equipped to accept them. One example are the alerts sent during the 2016 Chelsea bombing, for which Ahmad Khan Rahimi was convicted. A: My education may have had a lot to do with it. I studied emergency management at the Massachusetts Maritime Academy, where I was valedictorian. Also, my internship in emergency management at Yale University, and others at a security firm and a business continuity firm, provided experience. A: My parents are retired New York City police officers. They’re my heroes. Every day growing up, I would hear how they helped people. After living with them and researching my local emergency management group for a class at the academy, I knew I wanted this type of job. Q: What is your workday like? A: I work in a 24/7 operations unit, alone or with one of five colleagues, monitoring emergency activity in New York City. 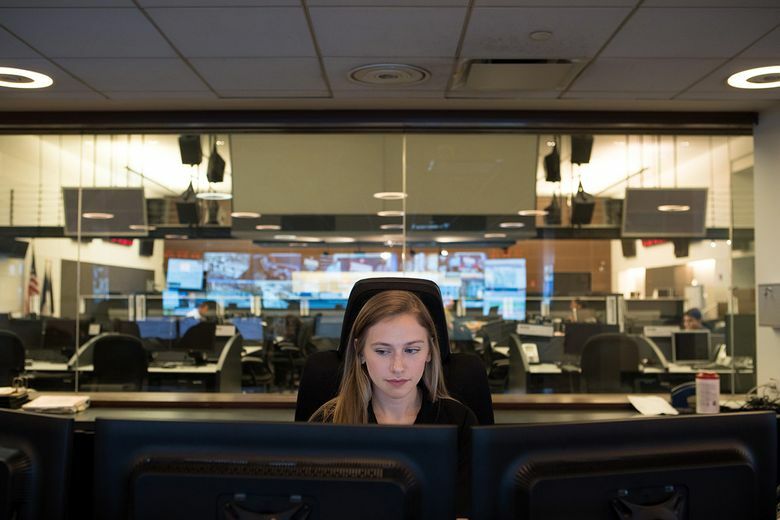 We use five computers to scan social media and over 1,000 emails a day from other city agencies and operations centers. We listen to various radio frequencies, monitor five news channels at a time and communicate with federal and city agencies over the telephone. We also have a variety of online tools to stay on top of information. As an example, Dataminr alerts us to breaking news from social media. No two days are alike. I can have a relatively calm day where I take care of administrative tasks, or I may be swamped sending multiple messages about incidents like a severe thunderstorm that leads to flooding. Q: How do you handle stressful days? A: My upbringing gave me a good head on my shoulders, and you develop confidence over time. We send out practice messages internally that prepare us, and we’re a team in this department — we have each other’s back. If any of us can’t handle the number of alerts we need to send, someone else from my unit will step in. Q: In September 2016, a bomb filled with shrapnel and built in a pressure cooker injured more than 30 people in Manhattan. How did that affect your work? On Monday morning, in coordination with the New York City Police Department, I issued a third, a “Wanted” message for the bombing suspect. It was the first of its kind and highlighted some of the shortcomings associated with the current Wireless Emergency Alert system, including a limited character count and the inability to add links. As a result, the system is being improved. I’m proud of being a part of that change.